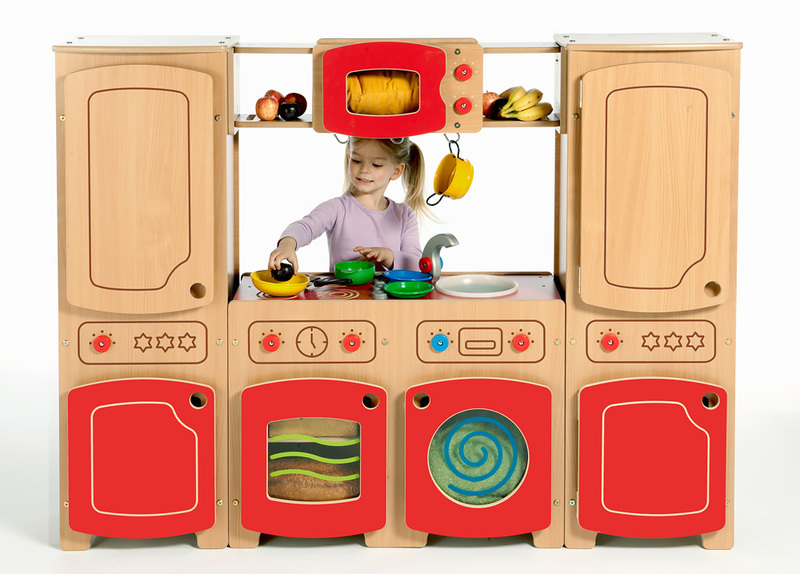 The modular kitchen kit four is our largest play kitchen system and includes a cooker with hob, washer, sink, microwave unit and two fridge/cupboard units. 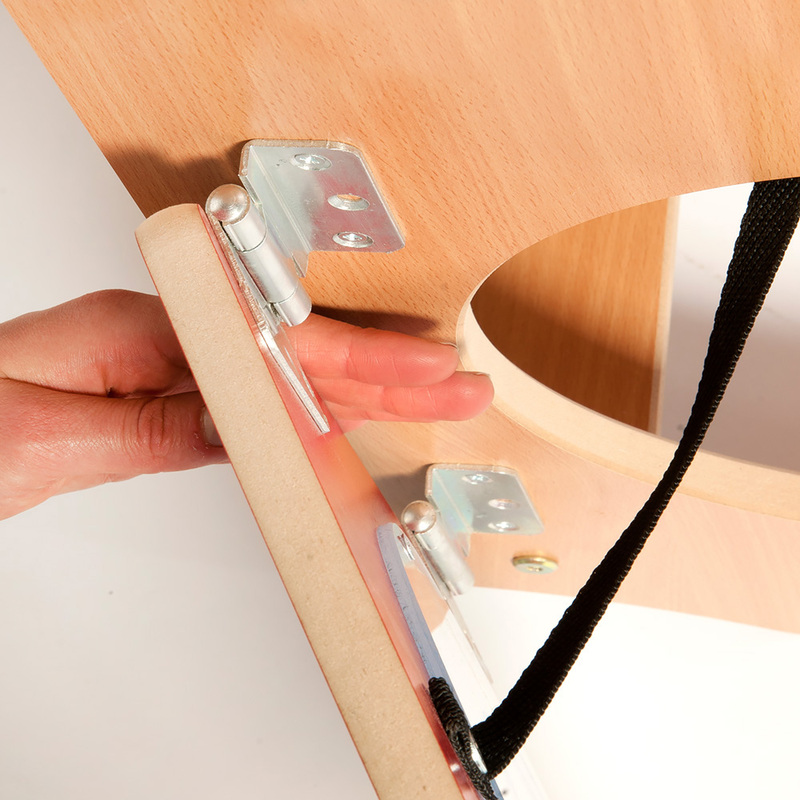 It is available in plain beech or red/beech finish. The washing machine and oven door have printed details and the sink has a plastic bowl and mixer tap. 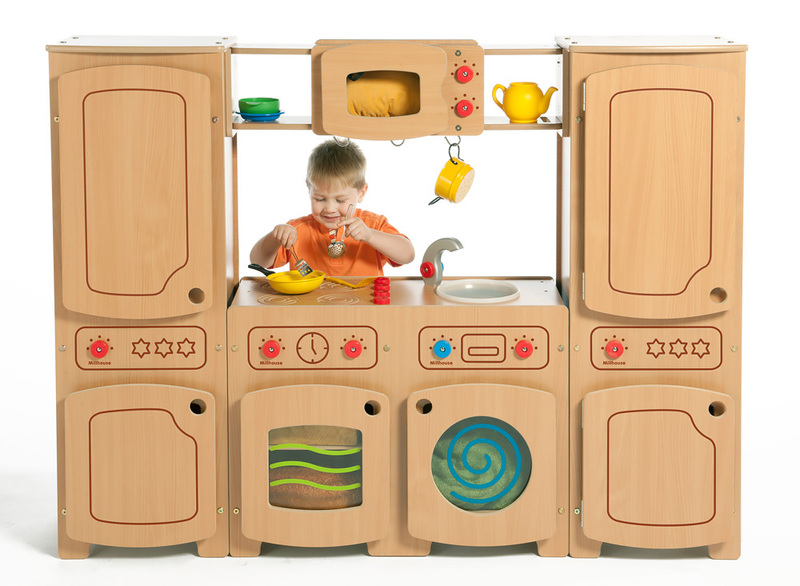 The microwave unit includes shelves and three removable hooks and the cupboards provide extra toy and book storage. Manufactured sustainably in the UK using durable and easy clean beech melamine board the modular kitchen is built to last in early learning environments. 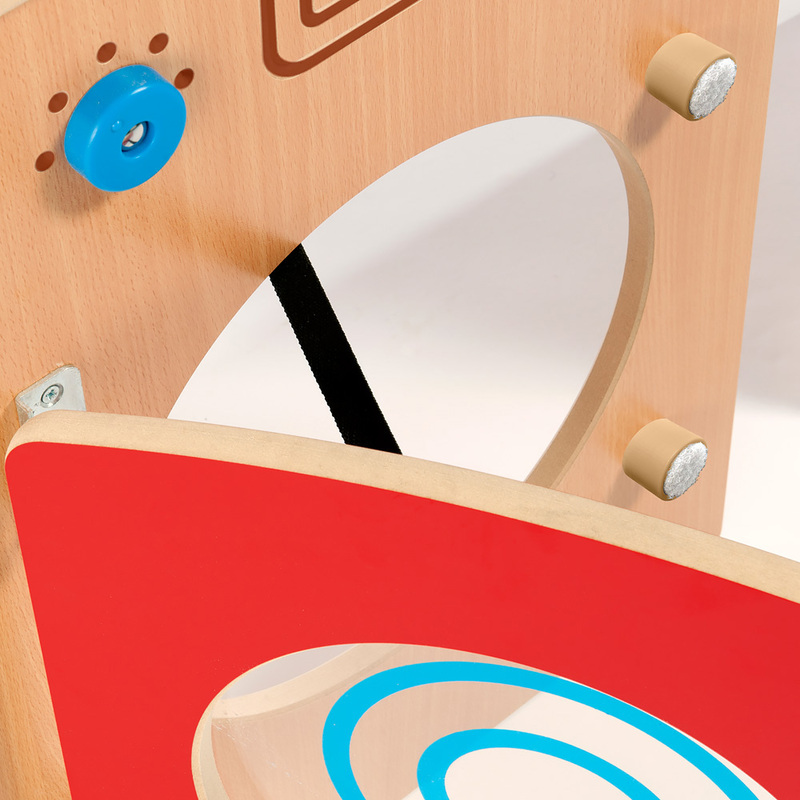 The kit is also designed specifically with education in mind so is the ideal addition to any school or nurseries home corner area and activity area. Please note: the kitchen utensil and toys as featured in the product images are not included with any of the modular kitchen kits. For more information please Contact Us or call us on 01733 511121.